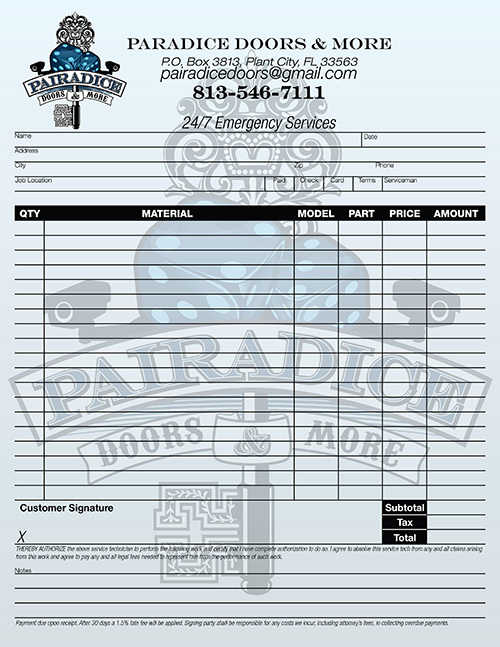 NCR Forms and Invoices are an often overlooked way to leave your customers with marketing materials. We offer traditional 1:0 printing and full color printing on up to 3 copies. All invoices have custom starting numbers and prefixes with ascending denominations. Our full color invoices and design are a great way to stand out the next time your customer is looking through their receipts. To get an accurate quote we need to know what and how many you would like, if you have artwork or need a designer, and how soon!